Sentera has announced the availability of a Micro Gimbal upgrade for Sentera Single sensors mounted on the popular DJI Phantom 4 Pro, Advanced, or Standard drone platforms. The micro gimbal compensates for drone pitch and roll so that the Single captures imagery closer to a straight-down (nadir) position. Sentera’s latest offering will help ag professionals collect more uniform normalized difference vegetative index (NDVI) or normalized difference red edge (NDRE) data across a wider range of operating and environmental conditions. 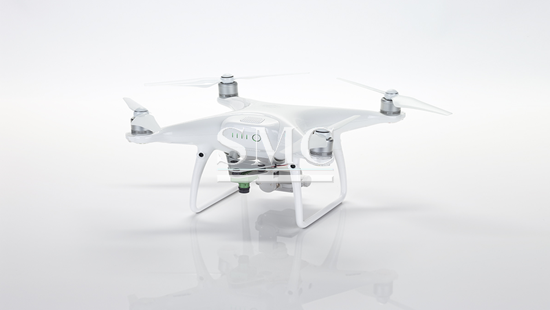 Drone pitch and roll, especially in windy conditions or higher-speed operations, alter the angle at which a photo is taken relative to the ground. Deviations away from “straight-down” can slightly bias the vegetative index measurement derived from that photo. Helping ag professionals access consistently better data was a driving force behind Sentera’s latest advancement. “Angle of incidence has some effect on vegetative index measurements. Without compensation, growers could see small variations even flying the same field under different wind direction or velocities. Micro Gimbal users will see more uniformity in their data,” added Nelson. The Micro Gimbal Upgrade easily integrates onto the Phantom 4 Pro, Advanced, or Standard drone platform. As with Sentera’s traditional NDVI and NDRE Single Sensor upgrades, the micro gimbal upgrade does not change the performance or function of the factory-supplied DJI Phantom 4 gimbaled RGB camera. The Micro Gimbal enables users with relatively high accuracy requirements to achieve their measurement objectives using the lower-cost equipment. BRDF compensation isn’t necessary in every application and Sentera can help users determine if their application requires a gimbaled or fixed-mount Single. All Single sensor variants are compatible with Sentera’s Micro Gimbal. Sentera NDVI and NDRE Single Sensors feature high-sensitivity global shutter imagers and low-distortion optics for crisp, clear aerial data collection. Every Sentera Sensor includes a 12-month subscription to Sentera FieldAgent, allowing users to autonomously fly, make in-field assessments, perform analytics, and integrate data products with the digital platform of their choice. Customers using FieldAgent’s QuickTile™ capability will notice a significant improvement in the in-field QuickTile product due to better nadir pointing.